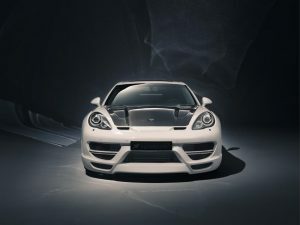 All news articles associated with Porsche can be attached to this category. 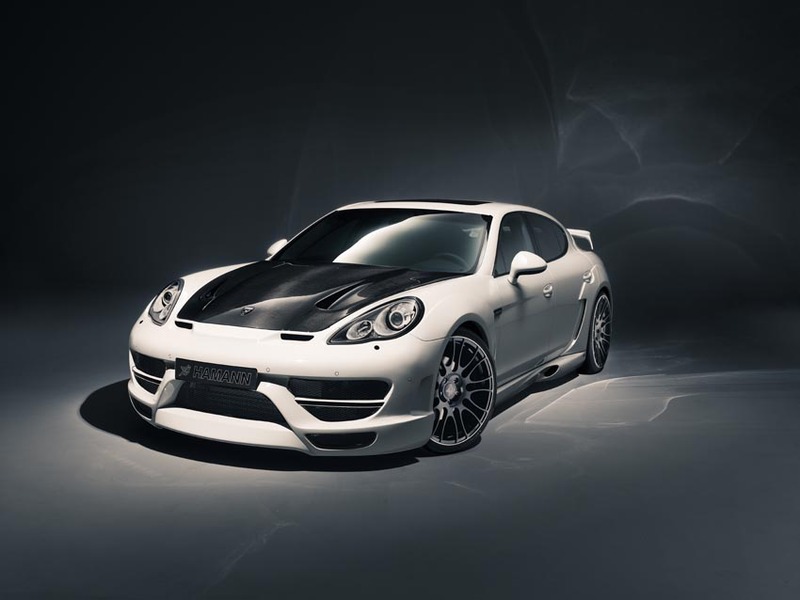 HAMANN-Motorsport has really turned the Porsche Panamera into a rocket. Even from the factory the Gran Turismo is already blessed with loads of performance, but this is still not enough for the Laupheim-based refiner. They’re crowning thePanamera as a super sports car with 603 hp/ 443 kW. 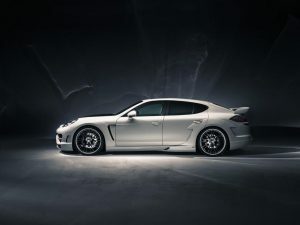 This is music to the ears of Turbo and Turbo S owners, as this powerhouse is bringing vitality to both models. Already just reading the data sheet your blood pressure shoots up and you get itchy feet: 870 Nm of torque at 2,250 – 4,500 rpm, 3.9 seconds for the sprint to 100 km/h and hitting the 200 km/h mark after 12.6 seconds. With the Sport Chrono Package activated the HAMANN Panamera’s ultimately turn into solid fuel rockets and catapult their occupants in a breathtaking 3.7 seconds to 100 km/h or in 12.4 seconds to 200 km/h respectively. At the same time the top speed increases to an impressive 315 km/h and thus it conclusively thumbs its proverbial nose at the series models (Turbo 303 km/h, Turbo S 306 km/h). Fittingly HAMANN-Motorsport has called its bodywork program CYRANO in honour of the French fictional character with a long nose. integrated daytime running lights give the Porsche an even more dynamic look. Moreover, the optimized airflow – generated by the redesigned bonnet – reduces the lift at the front axle even further. Adding 60 mm width to the front and rear fenders makes the GranTurismo look even more imposing and are instrumental for the powerful overall appearance of the HAMANN customization. The CYRANO side skirts were modelled such as to steady the airflow across the sides and let the stylish sports car appear even closer to the tarmac and stretched. In order to reduce the up-lift forces at the rear axle, the HAMANN engineers developed a special diffuser rear apron for the sedan from Zuffenhausen.The apron encases the striking dual tailpipes of the sports exhaust system andmakes this car’s rear a real eye catcher. To bring the mighty appearance of the CYRANO to a full circle, HAMANN added its new 22-inch rims: UNIQUE FORGED “GUNMETAL”. The design of the extremely light wheel combines sportiness and elegance. The recommended front wheel/tyre combination is 9.5Jx22 inches with 265/30 ZR 22 tyres. The rear is fitted with 11.0Jx22 inch rims and 305/25 ZR 22 tyres. Special eye catchers are the new alu wheels with special suspensions or a lowering module for the air suspension that lowers the Panamera’s center of gravity up to 30 mm. At the same time, the handling of the sports car is notably improved.